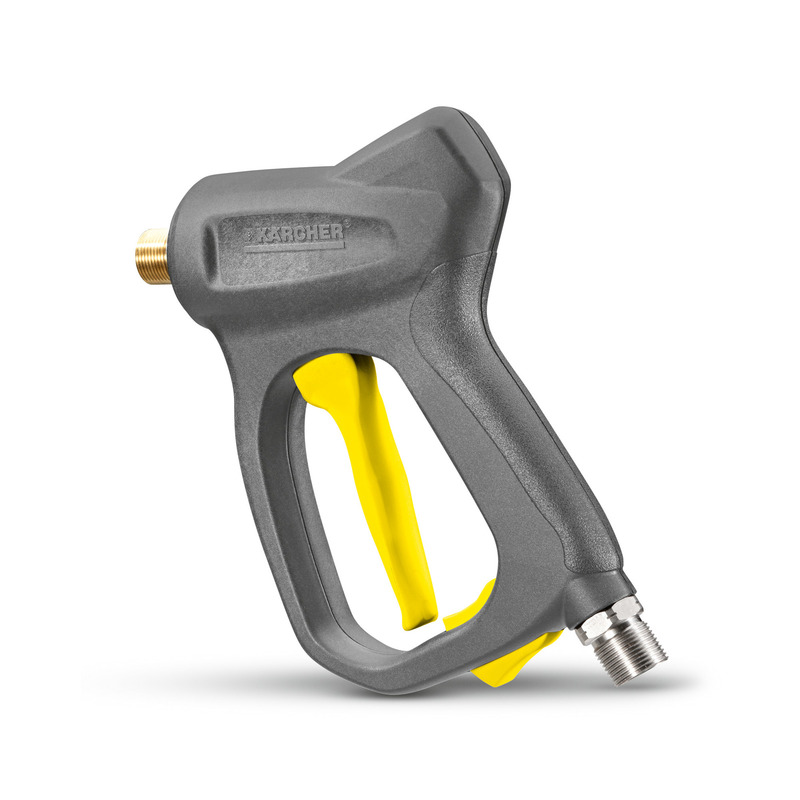 High-end HP trigger gun 47758230 https://www.kaercher.com/ae/accessory/high-end-hp-trigger-gun-47758230.html High-end spray guns with optimised flow. Small pressure losses also with water volumes up to 2500 l/h. Robustness and durability for professional use. Food-safe and saltwater-resistant materials offer the best conditions for use in the food sector and in industry. Connector for HP hoses M 22 × 1.5. Robust and durable high end trigger gun made of food-grade and seawater-resistant materials. Ideal for professional use, e.g. food industry. With optimised flow for low pressure loss at water flow rates of up to 2500 l/h. Connector for high-pressure hoses M 22 x 1.5.